Sleep is one of the most important necessities we need. During the time we are asleep, our bodies restores itself, you relax, recharge your mind and your physical body for the next day. For the longest time I've felt the toll my body has taken just because I wasn't sleeping enough, and sleeping well. And the key to sleeping well, boils down to not only the environment of your bedroom, the activities you do right before you go to bed, and very importantly, your mattress. It took me awhile to sleep every night, despite being tired physically and mentally, I just couldn't find the "perfect" position to fall asleep in the past. I would spend around 1-2 hours just tossing and turning in bed every night, and this 1-2 hours means a lot to someone like me, who gets an average of 5-6hours of shut eye everyday. Apart from that, I would wake up with shoulder and neck aches... not from hitting the gym too hard the day before, but from sleeping. WHUT. yes?! Sleeping on a bad mattress made my body even more tired than it already was. And that's when I knew the importance of having a good mattress to lie on every night. They call it the Perfect Mattress, and I can definitely see why. It has the perfect thickness, perfect firmness, perfect bounce, perfect convenience! Woosa is a singaporean company (always so proud when I see fellow Singaporeans creating things they truly believe in) and their materials are sourced from the finest places in Europe. The prototype took them 2 years, before they finally decided on the perfect one. This is so comfortable and soft, but yet firm and bouncy at the same time. Made with premium Latex foam on the first layer and memory foam, you get a perfect balance between bounce, comfort and pressure relieving on your body. I could rest my elbows in it and it bounces back up in no time. Likewise, when I sleep at night, it hugs my body contour like a glove. No more awkward gaps in between my lower back, and no more dead legs! The Woosa Mattress gives you the perfect support for your body, I no longer wake up with body aches anymore. Delivery is QUICK and convenient, in 48H they send it right to your doorstep in a smart package like this. Simply roll it out, wait 30 mins for it to deflate and you're bound to have a restful night. The Woosa mattress is also very affordable for its quality. I know it because I've been on the hunt for a new mattress and they were all much more expensive than this, at lousier quality. 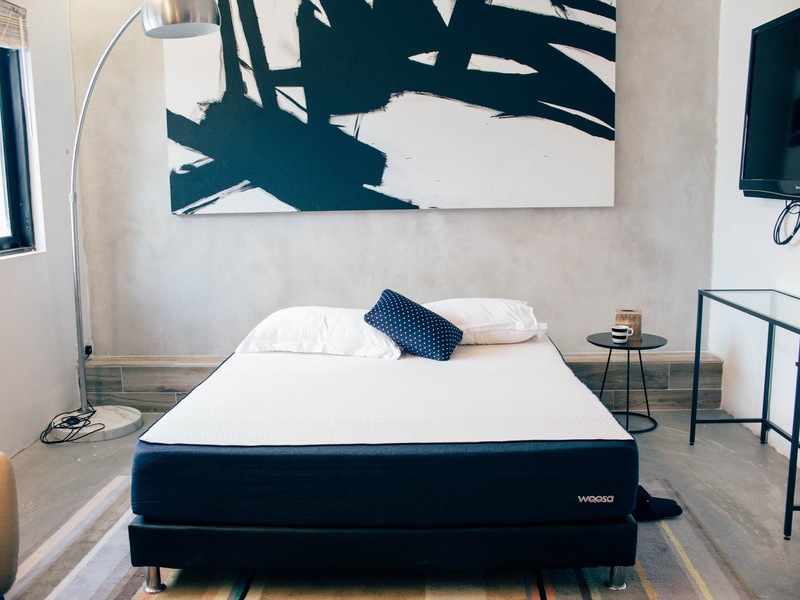 If you're wondering why Woosa can make their mattresses so affordable, that's because they cut all the middleman costs, markups, rental costs as they deliver right to your doorstep. The brilliant rolled up packaging also helps to save lots of storing and shipping costs, which helps keep costs low for them, and for us! One thing about conventional mattress houses is that they allow only testing of the mattress on site. However with that, you wont be able to fully understand and feel the mattress because afterall, you don't get the full experience of really sleeping on it. 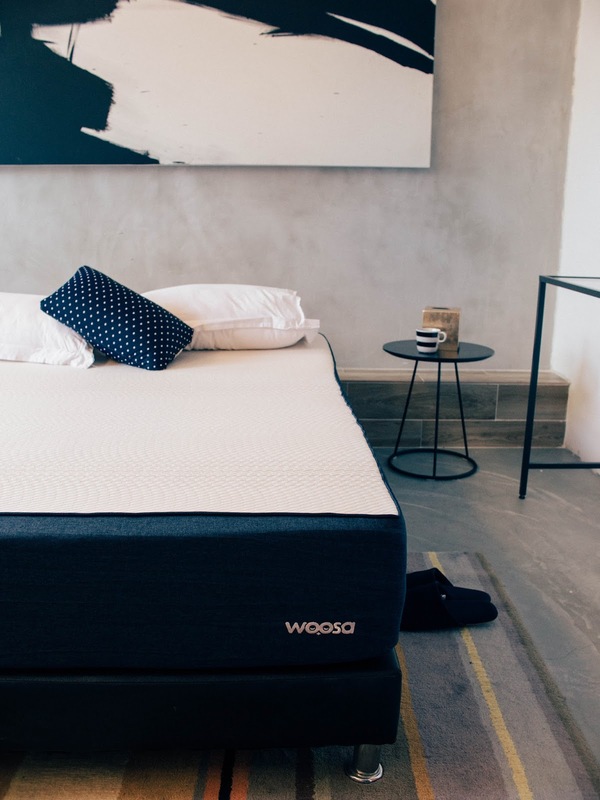 With Woosa, there's a 100days free testing policy where you get to test out the mattress for 100 days, before you decide to buy it! In the case you decide that it's not for you, you can return it to them with no questions asked and those mattresses will be donated away. The mattress is also under warranty for 10 years, yep! They are so confident about their products you don't have to worry about it! I highly highly recommend Woosa to all of you, it's so amazing, and I wish you guys would try it for yourselves. Now that CNY is just around the corner, you might want to swap the old mattresses for new ones, why not check out Woosa? what's the bed frame/divan that you are using?